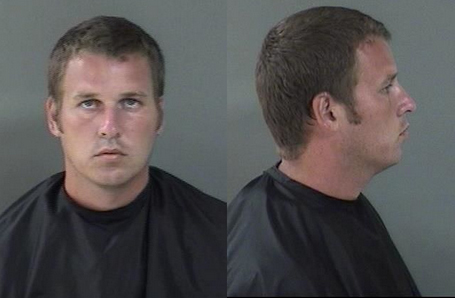 Brian Isola, 30, was busted Thursday morning for allegedly trying to boost items worth $320 from a store in Vero Beach. After reportedly being caught in the act by a patrolman, Isola initially blamed his travails on the Illuminati, the shadowy international organization that runs the world in conjunction with the Rockefellers, George Soros, the Bilderberg Group, and Jay-Z. “Your economy caused this,” Isola also explained. “I’m just trying to survive. I needed to take all this to survive." Seen above, Isola is being held in the county jail in lieu of $5000 bond.